This project carbon prevention is based around the supply of clean water and distribution of improved cook stoves to local communities in Malawi. Lack of safe water, along with poor sanitation and hygiene keeps the world’s poorest people in poverty. Women and girls are the most affected, with wasted hours spent carrying dirty, contaminated water. 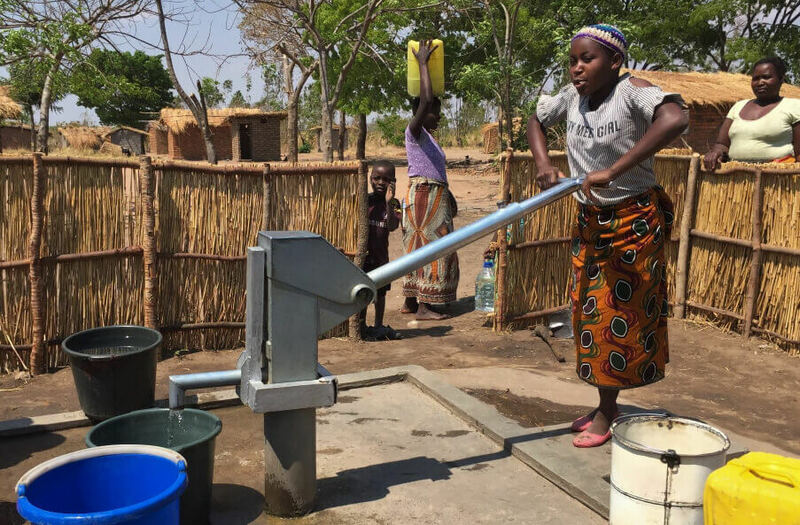 In Dowa and Kasungu Districts, around half of rural communities live without safe water. This situation is exacerbated by the fact that around one third of boreholes are broken and brings disease, affecting people’s health and ability to work. Families have the choice of either drinking dirty water, or boiling it to purifying it. Water and Sanitation project to expand its work to around 450,000 people in the Dowa and Kasungu districts. These two districts remain among the least served in Malawi, with water supply coverage estimated at 41% and 61% respectively. It will help significantly reduce greenhouse gas emissions over its lifetime. It will help reduce the use of non-renewable biomass from forests, assisting with the preservation of existing forest stock, protecting natural forest eco-systems and wildlife habitats. The protection of standing forests will ensure the maintenance of watersheds that regulate water table levels and prevent flash flooding. A reduction in fire wood consumption will lead to reduced deforestation and therefore reduced erosion and nutrient loss. Considerably less time will need to be spent collecting wood fuel for the family home. The amount of indoor pollutants from the burning of biomass in the family home will be reduced. Less Carbon Dioxide (CO2), Carbon Monoxide (CO) and particulates will be emitted, reducing the likelihood of respiratory diseases and thus impacting positively on the health of the households. Less time will need to be spent cooking, allowing greater opportunity to focus on other household tasks and the supervision of children. Safety in the home will be improved, reducing incidences of injuries and burns, as the efficient cook stoves are safer to cook on. It will benefit the rural economy by providing employment in the installation, maintenance, and monitoring of the stoves, as well as training and employing community education staff. Costs incurred in the purchase of fuel will be reduced through increased thermal efficiency, allowing more money to be spent on food, health care, education etc.